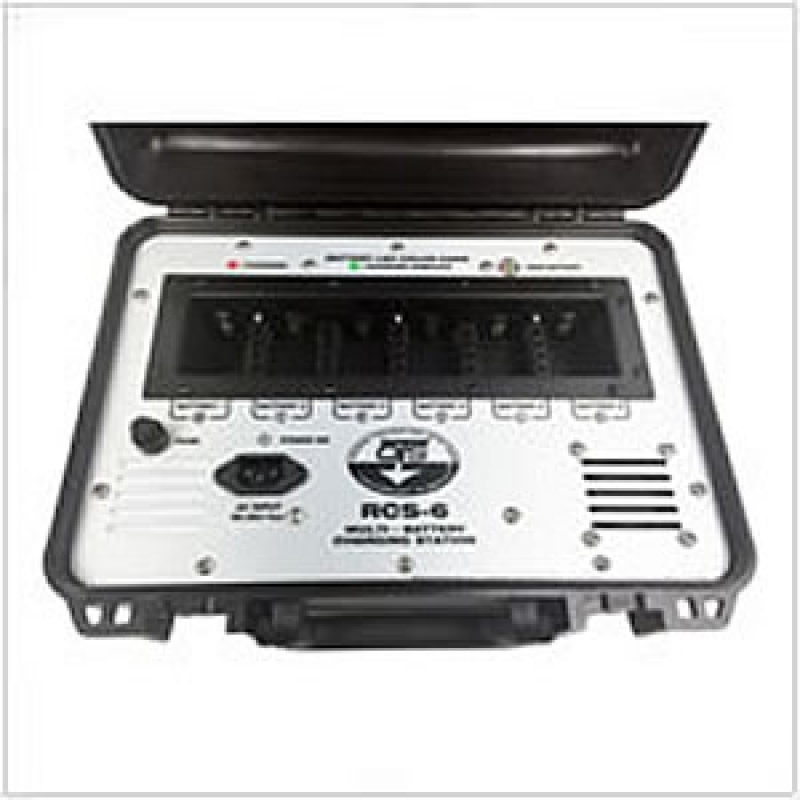 The RCS-6 is the finest state-of-the-art battery charging system on the market. The RCS-6 charger station is designed to simultaneously charge up to six RB-14 nickel-metal hydride batteries. Due to the smart computer charge up algorithm and related circuitry, a RB-14 battery can be fully charged in as little as 4 hours, depending on the age of the battery.